Speaking to reporters, he said, "Noida and Greater Noida are windows of Uttar Pradesh. But due to corrupt governments in the past, development in Noida, Greater Noida and the entire state has been affected." Noida: Uttar Pradesh Chief Minister Yogi Adityanath on Saturday said 40,000 home buyers in Noida and Greater Noida area will be given the possession of their apartments by the end of December this year. The chief minister was in Noida to review the security and other arrangements for Prime Minister Narendra Modi's on Monday. Addressing a press conference, he said there are disputes between buyers and builders, farmers and authorities, Gram Panchayats and authorities which need immediate resolution. Earlier, Yogi Adityanath met members of the buyers and builders association and took note of their grievances. He was accompanied by Union Minister Mahesh Sharma and the Industrial Development Minister of Uttar Pradesh Satish Mahana. Chief Minister Adityanath told reporters that a builders' audit was being conducted and that he has directed the authorities to identify the issues faced by the builders and to oversee where co developers can help speed up projects so that buyers get possession of apartments on time. He further added, "Noida and Greater Noida are windows of Uttar Pradesh. But due to corrupt governments in the past, development in Noida, Greater Noida and the entire state has been affected." A group of ministers have been given the responsibility to resolve the issues in Noida and Greater Noida. It has been continuously monitoring the issues and holding meetings with stake-holders and authorities, the chief minister said. 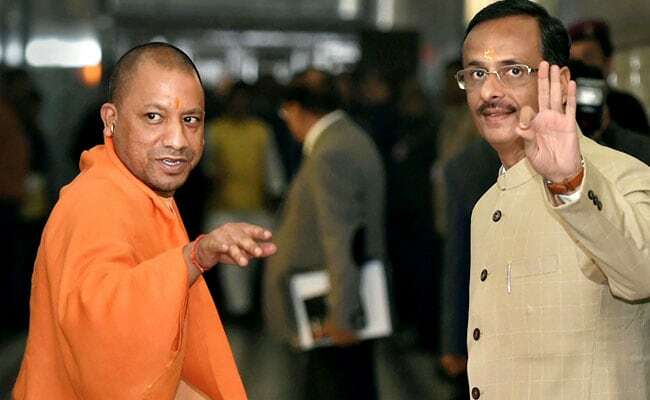 Yogi Adityanath also said his government was making efforts to speed up development and people would soon witness a positive change in the state.